We are often asked how it is within the power of the legislature to de-fund abortions when it is federal money funding the abortions and federal regulations requiring that the state disburse the funds for the abortions. In the first place, it is State funds and State employee contributions that pay for abortions covered by the State Employees Health Benefits Plan, and Kansas law specifically provides for those payments. These payments must be laid squarely at the feet of our state legislature. Secondly, State funds are also paying for abortions covered by Medicaid and Healthwave through matching of most of the funds received from the federal government and through program administration. Although these contributions from the State of Kansas are a requirement of its participation in Medicaid and Healthwave, it must be noted that the federal government requires no state to participate in either of these cooperative programs. In fact, the courts have repeatedly cited the invitational nature of federal assistance programs together with the fact that the regulations requiring payments for abortion only apply to states who elect to participate in the federal assistance programs. It is our contention that legislators sworn to uphold the Constitution of the State of Kansas are bound by that oath to decline participation in any federal assistance program requiring payments for abortion. Certainly every pro-life legislator should vote to decline receipt of federal assistance funds to which lethal strings are attached. Another question we are often asked is why the Kansas courts have never ruled against State participation in federal assistance programs requiring payments for abortion. The answer to that question is quite simply that no Kansas court has ever been presented with the argument that Kansas' voluntary participation in such programs violates our state constitution. The Kansas Human Life Resolution (HR 6003), passed in 2002 by a majority of the House of Representatives, sought to have this argument presented to the Kansas Supreme Court. Unfortunately, Kansas Attorney General Phill Kline instead argued in District Court that receipt of federal Medicaid funds should not obligate the state to pay for abortions. This argument, already rejected in federal court, was rejected in Kansas District Court as well and led District Court Judge David Bruns to dismiss the case. Shawnee County District Court, Division Twelve, Case No. 05-C-1050. Instead of appealing the case to the Kansas Supreme Court as the HR 6003 required, AG Kline issued a news release stating simply "I will not appeal HR 6003." Thus Kansas continues to violate our state constitution voluntarily in order to obtain federal dollars and we taxpayers continue to be forced to pay for what is truly murder. 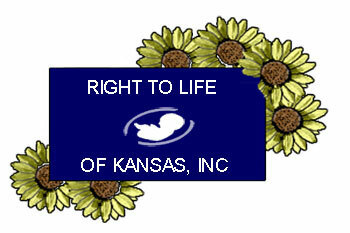 Meanwhile, Right To Life of Kansas continues to seek redress from our state legislators, who can and must end these bloody pacts with the federal government and cease paying for abortions through the State Employees Health Benefits Plan.